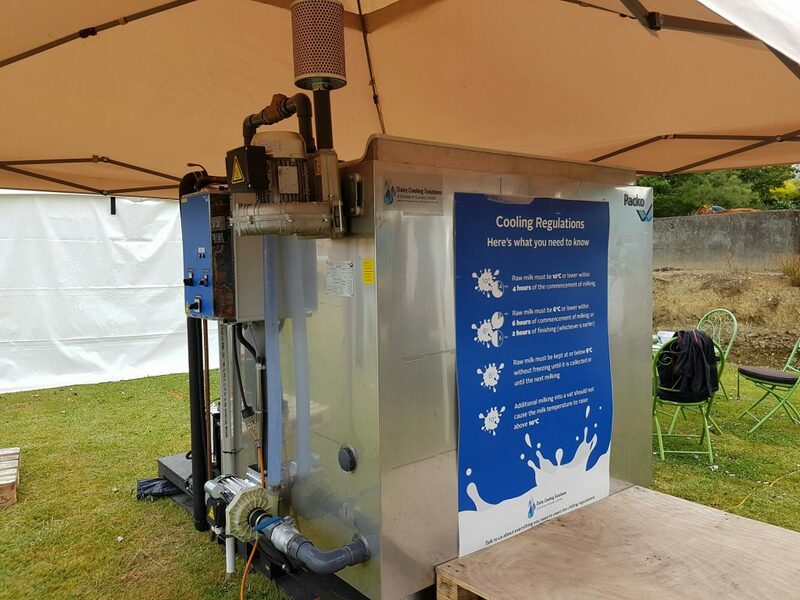 Over the weekend Dairy Cooling Solutions exhibited at the Golden Bay A&P show in Nelson alongside DCS partner Golden Bay Refrigeration. The Golden Bay A&P Show is smaller show but well supported by locals with lots to see and do and something for everyone. We had the PIB-60 with a full load of ice on display under our pop up Marquee to protect us from the elements. 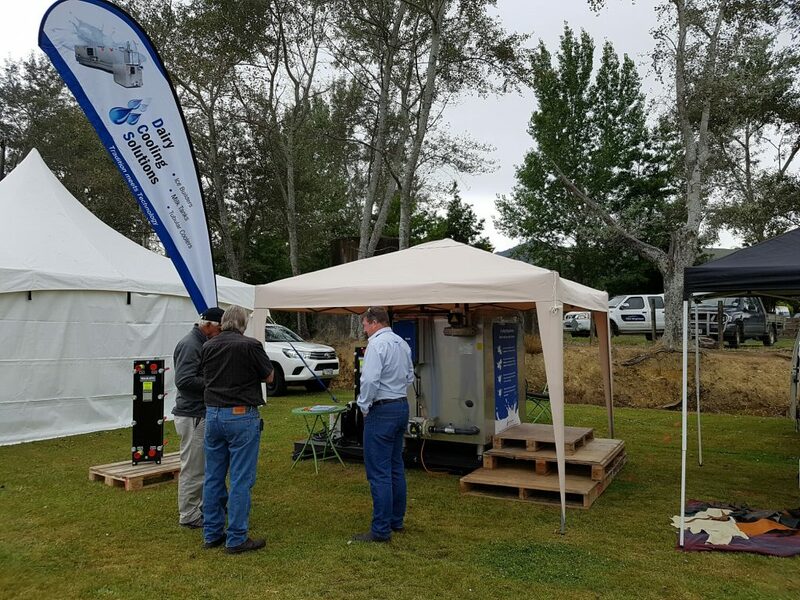 Golden Bay Refrigeration had booked a great spot for the show. Located next to the Royal Service Centre in the main paddock we had steady traffic from about 10 am onward until about 2 pm when people started disappearing to escape the storm that was bearing down on the region. All the farmers Frank and Liz wanted to come through for PIB systems this season paid a visit so we are expecting some good PIB orders between now and the coming dry if all goes well. Nick Riley a well-respected electrician in the Bay also paid a visit with his family. 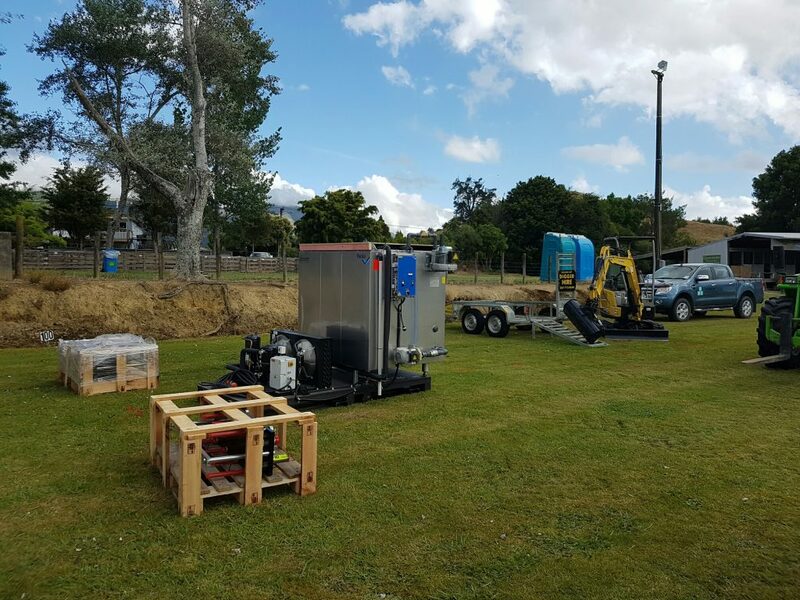 Frank has being doing more work with him in the region as well as the local Waikato Milking systems franchise owner who does all the PHE work for the PIB upgrades, so it is a real collaboration of local companies to help farmers upgrade their systems and meet the new cooling regulations.